My latest "sculpy-ture". 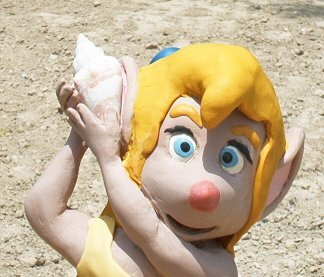 Gadget at the beach. 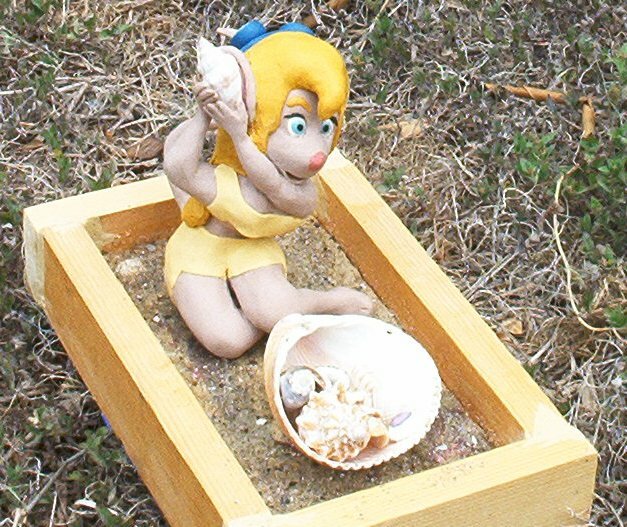 Special features of this piece are are real sea shells (the shell she is holding to her ear was baked with the figure and held up well), actual beach sand pressed into the clay to make the surface of the "beach" (this was covered with plastic coating to help retain it) and a liquid plastic coating applied to her eyes to make them shiny. This figure will be a Mother's Day present for my mom. Scroll down to see the closeup.